SkyVerge is a remote company. That means we spend our days chatting with one another in Slack, waving from our respective tiny digital boxes on Zoom, and sending accolades or shout outs via Basecamp. We love working remotely, and are no strangers to the tools that allow us to bond in digital-land. But, we’re also all very aware of the fact that there is simply no replacement for in-person bonding. 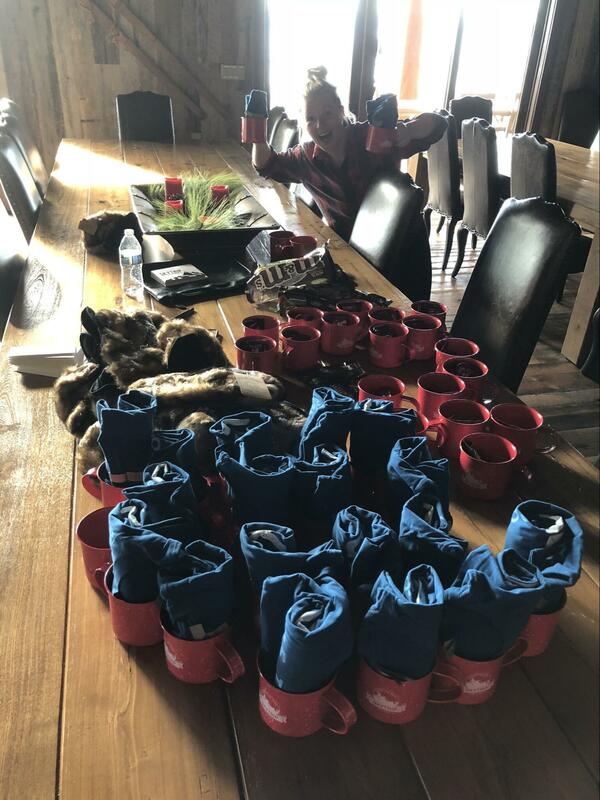 To that end, we recently wrapped up our third annual company retreat — and this year, it came with a beary special surprise. A safe distance is encouraged, bear hats are required. Sharing a home with a mama bear and her three cubs for a week may not sound like the ideal situation for a relaxing company retreat, but trust me, it is. While in past years we’ve enjoyed the sunshine of Orlando, Florida we traded that out this year for more of a wilderness focus in majestic Lake Tahoe, California — and unbeknownst to us when we booked, our beautiful home came with a bonus bear family. A little intimidating to be sure, but there’s nothing like the shared experience of making sure the bear (henceforth called by her proper name, Barb) doesn’t get too close during your company photoshoot to really and truly bring your team bonding to that next, often unattainable, level. For the last two SkyTrips, the bulk of planning was spearheaded by our CEO, Max. However, given that we grew by 100% over the last year, SkyTrip is now one of my primary responsibilities. Though Max’s documentation on planning previous SkyTrips was super helpful, there are some big differences in planning a retreat for 19 team members vs. one for eight. Even so, I started by reading many of the same posts from other remote teams about retreat planning that Max read before planning last year’s SkyTrip (see our 2017 recap for his reading list). Those posts have been so helpful for us, that we wanted to do the same. 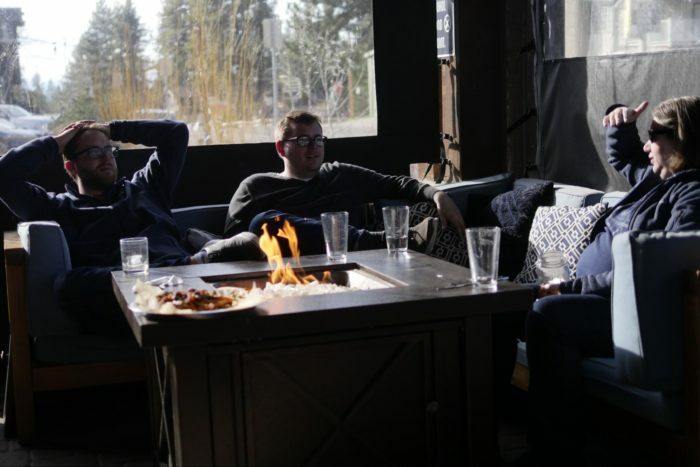 We hope our team retreat experience can help other growing companies as they face the same challenges we do. Though we were tempted to jump right into the exciting process of determining where we would host the retreat this year, we knew clarifying the goal of the week was going to set the tone for every other part of the planning process. We knew a little bit of work needed to get done (see below for more on how we structured that), but we wanted to focus on maximizing the in-person time we had together by simply enjoying one another’s company. To that end, we ultimately settled on the goal of bring the team together to have fun, bond, and recharge. Once we knew the vibe we were aiming for, we got to work homing in on a location. Like last year, we wanted to keep the trip in an area with warmer weather and relatively close to a major airport. However, this year we really focused on finding a house big enough to offer private bedrooms and bathrooms for every team member. This was top priority for us, and turned out to be a lot easier said than done when you’re working with this many people! Since our team is spread out over six countries, this once-a-year in-person time is really valuable. This trip replaces a year worth of lunches, coffee breaks, and after work drinks that teams in offices take for granted. With this in mind, we wanted to create an environment that would naturally encourage as many spontaneous water-cooler-type conversations as possible. Those by-chance interactions don’t happen as frequently or naturally when you’re staying in a hotel, or are divided up into smaller houses. Running into someone at the coffee pot, seamlessly transitioning from dinner to sunset drinks on the deck, starting a late night game of Cards Against Humanity — these are moments that can’t be specifically planned, but can happen very naturally if you find the right space. Working backwards, we used Luxury Retreats, Airbnb, and VRBO to narrow in on a few houses in Europe, Mexico, and the U.S. After comparing/contrasting what travel to each spot would look and feel like for the majority of the team, we ultimately decided to go with this beauty in South Lake Tahoe, California. Its luxury amenities, reasonably close proximity to the Reno airport, and spacious individual rooms/bathrooms are what really made this house the winner for us. Aside from its gorgeous views, the house came with plenty of things for us to enjoy throughout the week. Team favorites included the indoor pool, sauna, movie theater, game room (featuring pool, foosball, shuffleboard, and ping pong), and multiple hot tubs. Additionally, the house was so spread out that it was very easy for people to move seamlessly from one activity to another — creating exactly those spontaneous moments we were hoping for! Though perhaps not as exciting, the seven dishwashers turned out to be a real luxury as well. As a global team, the reality is that many of our team members will have long travel days no matter where we go. That said, we tried to keep it as reasonable as possible for as many people as we could. For team members who have an exceptionally long journey, or major time zone adjustments (those coming from Hawaii, South Africa, Estonia, and Taiwan), we offered them the opportunity to come out a few days early, stay in an Airbnb together, and adjust for a couple days prior to the retreat. This went really well, and resulted in a well-rested team for the retreat. As a team of predominantly introverts, it was really important to us to give team members space to unwind and recharge at the end of every day. We’re all adults here, and nobody really wants to be sharing bunk beds or debating shower schedules with their colleagues. Our post-trip survey results clearly showed this was one of our team’s favorite parts about the week. It can be tempting to disregard separate rooms as one of the most important factors in a week but trust us, it makes a huge difference in the tone and energy of the team throughout the week. We want our team members to feel valued, supported, and respected, and having personal space to decompress is a big part of that. One of the biggest differences in planning from previous years is that I was able to fly out to Tahoe before we booked the house. If you can swing it, a scouting trip like this is an absolute game-changer. It allowed me to get a handle on the minor details that made all the difference in the success of our retreat (vibe of a restaurant vs photos of it online, where to have the team meet up in the airport, etc). If you can do a scouting trip, also take stock of what’s available at the house in terms of laundry detergent, soap, food staples (spices, cooking oil, etc), and paper goods like tissues. I made sure to double check the house’s internet speed (last year we ran into a fairly large discrepancy between reality and the speed listed on the rental site), assess the surrounding area for activities, check out a few potential restaurants, and take notes on what the drive up from Reno is like. Once we had our ideal house locked down, I got to work sketching out a few possible itineraries for the week. It can be tempting to overschedule, but feedback from the team on past retreats was consistent in asking for more free time, which fit well with our goal of encouraging team bonding. Max’s favorite restaurant is Denny’s… we don’t understand it either. Max (CEO), Beka (Head of Product), and I (Chief of Staff) went out to Tahoe a couple days ahead of the team so we could grocery shop and prep the house prior to their arrival. We’re strongly considering a grocery service for next year — shopping for 19 people for a week is no small task! Aside from the groceries, we also made sure everything in the house was ready to go before everyone arrived. We put together our swag for the trip, and arranged it in each team member’s room. We spent a fair amount of our planning process selecting and designing swag that we felt would make the team laugh (bear hats! ), feel appreciated and welcomed upon arrival (handwritten note and chocolates — or beef jerky for our Keto friends! ), and give them something both useful and commemorative to remember the week after we had all returned to our regularly scheduled lives post-retreat (a set of camping mugs and a SkyTrip 2018 t-shirt). We also intentionally assigned rooms before everyone arrived. Our goal was to give team members who don’t often work together a chance to get to know one another better throughout the trip, as well as to avoid any scenarios where the people who arrived later in the evening felt like those who arrived earlier got a better selection of rooms to choose from. 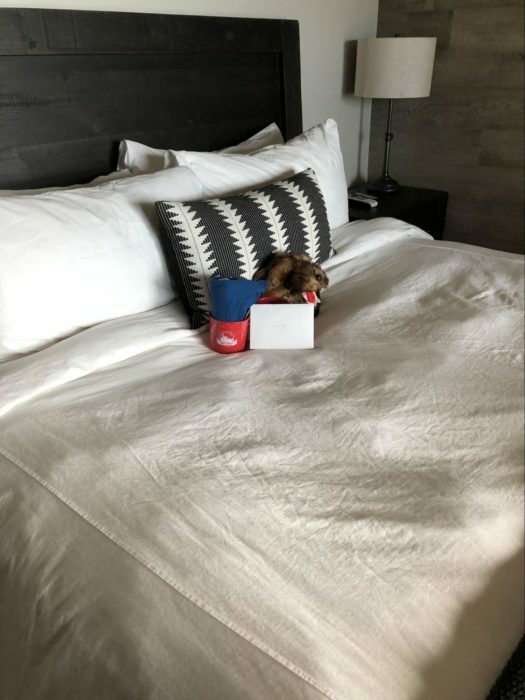 It’s also a really lovely detail to be able to show your team to their specific room, where their swag care package is lovingly awaiting them! Who doesn’t want a bear hat greeting them upon arrival? 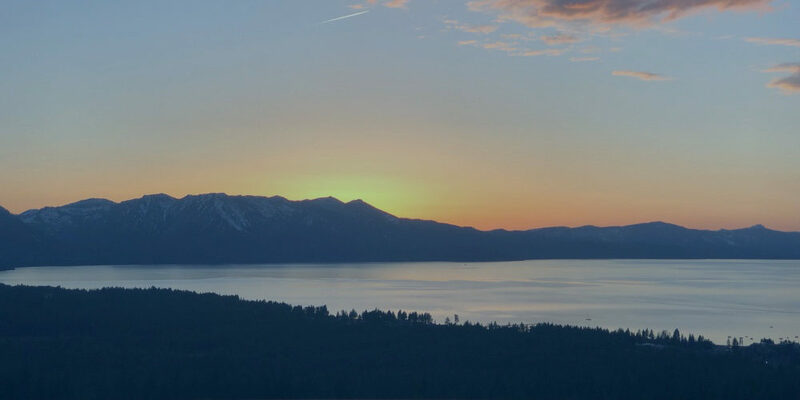 Almost everyone had fairly lengthy travel days to get out to Tahoe. We planned accordingly for this, and had some drinks and snacks ready to go as people began to arrive. We had two waves of arrivals; we intentionally timed everyone’s flights to land around 6:30pm or 8:30pm, and had rental cars assigned to one person in each wave. Thankfully no one was delayed, but we had the numbers of a few cab services on hand as a back-up. After showing everyone to their room, we made sure to let people know that there were zero expectations that they stay and hang out—some chose to, and some went straight to bed. We wanted to save the official welcome for the next day when everyone was well-rested. We used a special SkyTrip Slack channel to let everyone know when and were to be ready the next morning to kick off the retreat! Energy is usually very high at the beginning of the week, so we made Monday our busiest day in terms of planned sessions. Max insists we kick off every SkyTrip with the fine cuisine of America’s favorite diner, Denny’s, so we started with breakfast there. 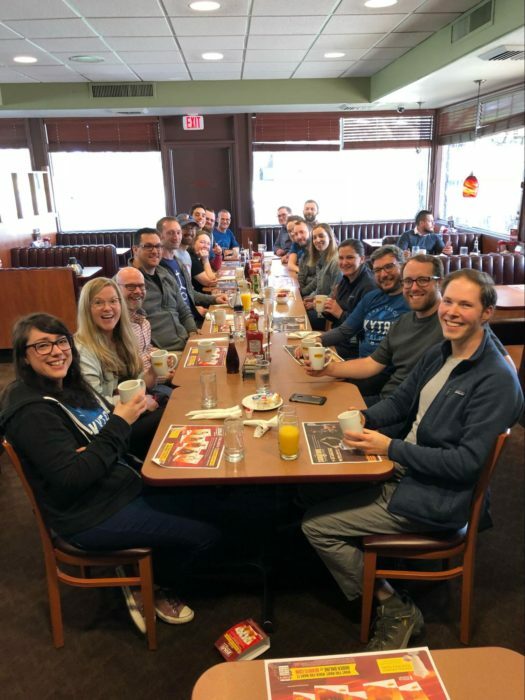 Nothing formal was planned for this other than to share some classic diner coffee and eggs, and chat with one another. To be fair, Denny’s does have some sweet coffee mugs. Once back at the house, we had our first all-hands support hour of the week. Feedback from last year’s retreat was that support felt a bit rushed and scattered. 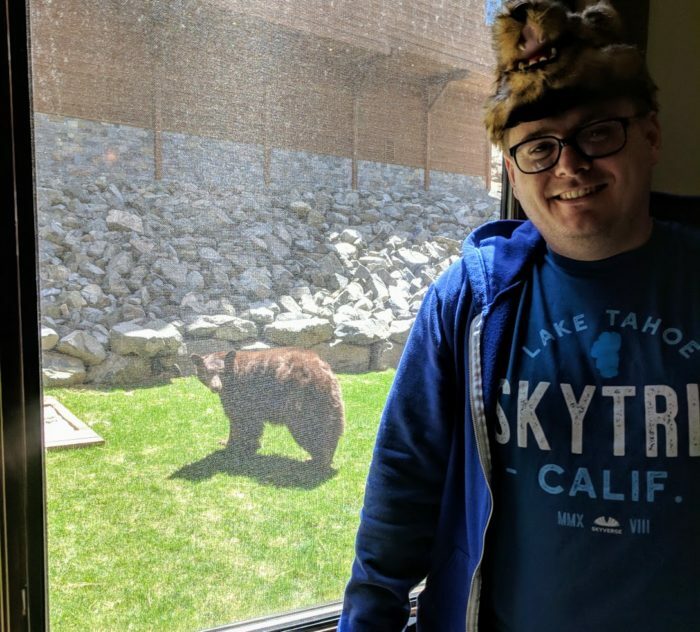 We take support very seriously at SkyVerge, so we wanted to be sure to address this concern head-on. We included an all-hands support hour every day, followed by one hour set aside for breakfast. In practice, the team blended the two, so for next year we’re going to include just one 90 minute chunk for support/breakfast. Aside from our Denny’s kick-off, we intentionally left breakfast and lunch as open times for the rest of the week. We wanted dinner to be the focal team-building meal of the day, and giving free reign to the team for breakfast/lunch fit nicely with the week’s relaxed vibe. In the afternoon, we held team meetings in the movie theater. This was a great way to give the team a thorough understanding of what different parts of the company are up to, answer questions, and provide an overview of how the rest of the week would look. Last year, we spent time figuring out our company’s core values. This year, we held our first ever “team values” awards. We sent out a nomination form to the team the week beforehand, and presented a small, humorous prize to those team members that received the most nominations from the rest of the team. We plan to keep refining this, and use it as a way to further incorporate and encourage the team to live our values. 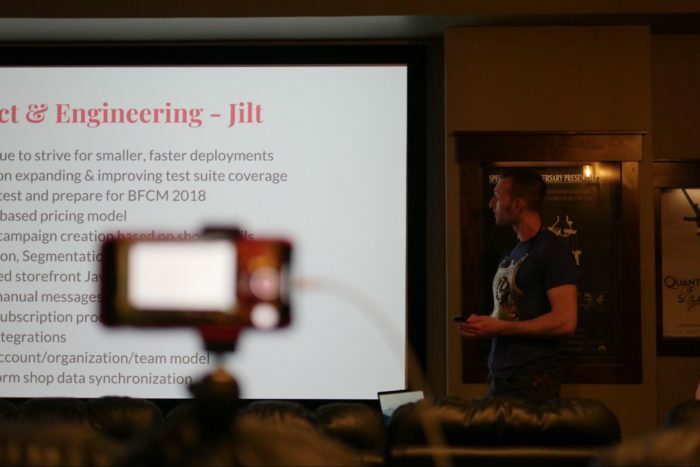 Justin giving us an overview of Jilt’s future. The highlights of Tuesday were our team photo shoot and Lightning Talks. 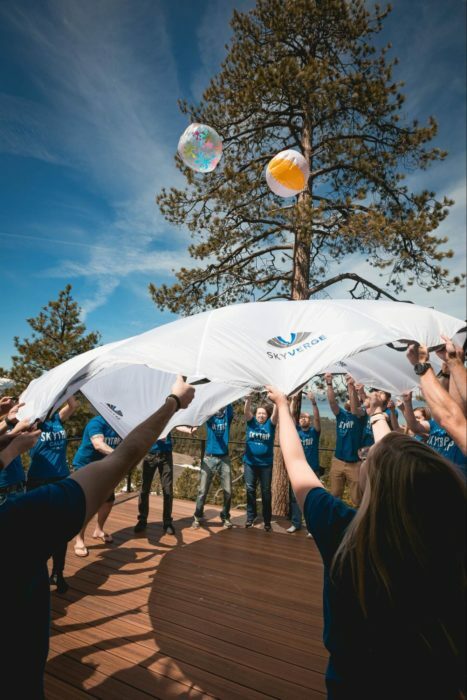 We had a great photographer come out to the house, and kept her entertained by bringing out a 5th anniversary present for our co-founders, and our newly created company parachute. We also had to keep several team members on Barb Watch during the outdoor portion of our photoshoot… never a dull moment! 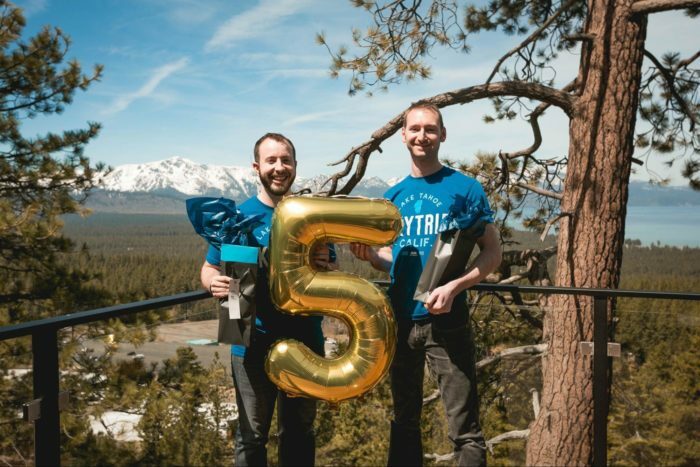 Our co-founders, Justin and Max, celebrating our 5th anniversary! The team that parachutes together, stays together. 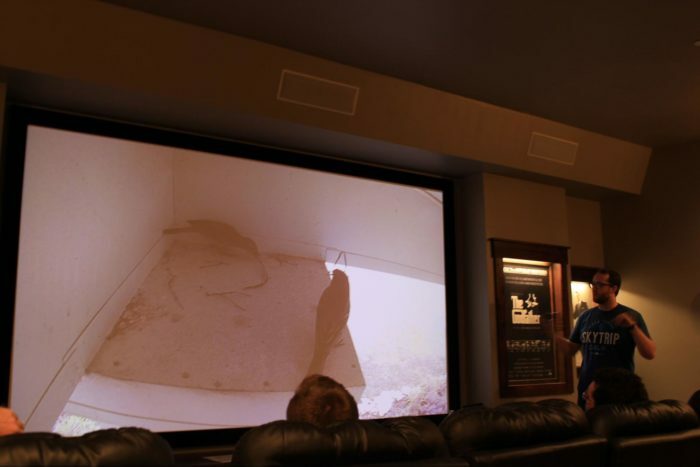 Later in the day, we gathered in the home theater again for our first ever round of Lightning Talks. Big thanks to Matt for giving us this idea from his past retreats at Automattic — the team loved these! We only had two guidelines to follow: keep it under two minutes (kinda followed), and you can’t talk about anything related to work (mostly followed). The team did not disappoint, with wide-ranging topics such as, “Why the Giving Tree is an Awful Book and what to Read to your Children Instead,” “Investing 101,” “How to Make Kombucha,” and “A Brief History of Gin.” Lightning Talks are a fantastic way to get to know something surprising or unexpected about your teammates, and served as great conversation-starters for the rest of the week! Ask Jared to tell you about the saga of these birds. We spent quite a bit of time researching the perfect group activity for this retreat. It’s hard to find the right balance of interactive, entertaining, and topical to the area. 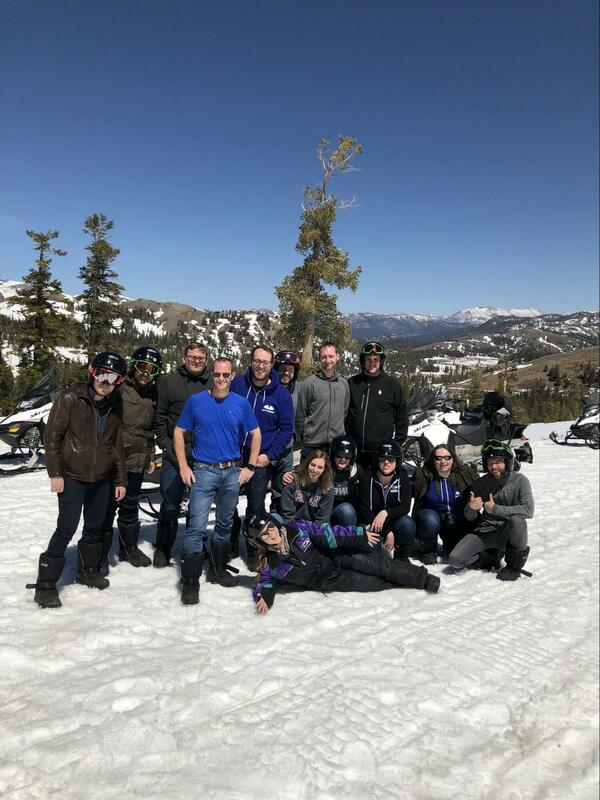 After eliminating a dinner cruise and escape rooms, we settled on an optional snowmobiling tour with Lake Tahoe Adventures. We wanted to keep this optional since we didn’t want to force anyone too far out of their comfort zone! We had 15 team members join in, and we had an absolute blast. The scenery was gorgeous, Beka and Ian tried to get away with speeding (unsuccessfully), Ryan did a little accidental off-roading, and one of us insisted on keeping her snowsuit on the entire time despite the sunny, 60 degree weather. Fun fact: we named our bear friend Barb in honor of the woman who works at Lake Tahoe Adventures and made our whole snowmobiling trip possible. Thank you, human Barb! Me… the person who refused to take the snowsuit off was me. Look at how awesome that thing is! Next year we’re thinking about offering two different activities, one more active and one more casual. That way, we’ll hopefully have something that appeals to everyone. You know it’s gonna be good when this guy introduces team projects. We kicked off day one of our Team Hackathon on Thursday. Prior to the week, we divided the team up into small groups, and assigned each one a specific project with a desired outcome. This allowed each group to think a bit about their project prior to the trip, and resulted in some really great work. We expanded the Hackathon to two days based on last year’s feedback, and were really pleased with how it went. On Friday, we held team presentations so everyone could see and ask questions about each team’s project and outcomes. Thursday night we had another first: our definitely-going-to-be-annual International Team Potluck. About a week prior to the trip, we had team members sign up and indicate what they planned to make. Everyone was free to make whatever they wanted: some people made main dishes, some made sides, a few made desserts, and a couple made cocktails. The one thing we learned is that we are all big fans of cheesy carb goodness. There’s just something magical about cooking with people, and about crowding around one table to share in everyone’s culinary efforts. This was my personal favorite night of the trip. The only thing we’ll do differently next year is have it earlier in the week so we can enjoy all those delicious leftovers! The bulk of Friday was spent wrapping up our Hackathon projects, and presenting our results to the rest of the team. After that, we spent the rest of the afternoon/evening just hanging out with one another. Given all of the options within the house, most of the team spent their free time bouncing from one luxury amenity to the next—which led to the type of spontaneous bonding time we hoped would happen. Bartender Beka on the job. Another difference from last year was extending the trip by a day. We wanted to make sure the team felt like it was worth the long trip, and we intentionally planned to keep the final day completely open. Prior to arriving in Tahoe, I shared a few ‘Things to Do’ with the team, meant as a jumping off point for potential activities on this day. A few team members went for a hike (where we learned Maggie is incredibly competitive), some went to see the new Avengers movie, and a few went to check out one of the casinos just over the border in Nevada. Since some of us had really early morning departures, we all came together for one final team meal at Ten Crows BBQ. We had a private, outdoor area for the team, and the casual, buffet-style meal was the perfect way to mix and mingle before saying our farewells. This year, we spent a grand total of $63,003 on our retreat, so around $3,300 per person. Last year we spent $3,000 per person, so we were right on target with our goal of holding steady or slightly increasing our per person spend this year. You might think, “Wow, $63,000 is a lot of money to spend on a single trip.” But consider this: as a distributed team, we can reallocate some of the money we save on traditional office space to things like travel and team activities. For our team of 20 people, we’d probably need at least 3,000 square feet of office space (assuming a fairly conservative 150 square feet per person). In Boston, Massachusetts, where one of our founders lives, that would cost $1.6 million. In Philadelphia, Pennsylvania, where our other founder lives, we’d be spending over $600,000 per year on office space (not including things like insurance, cleaning, security, snacks, electricity, and internet). 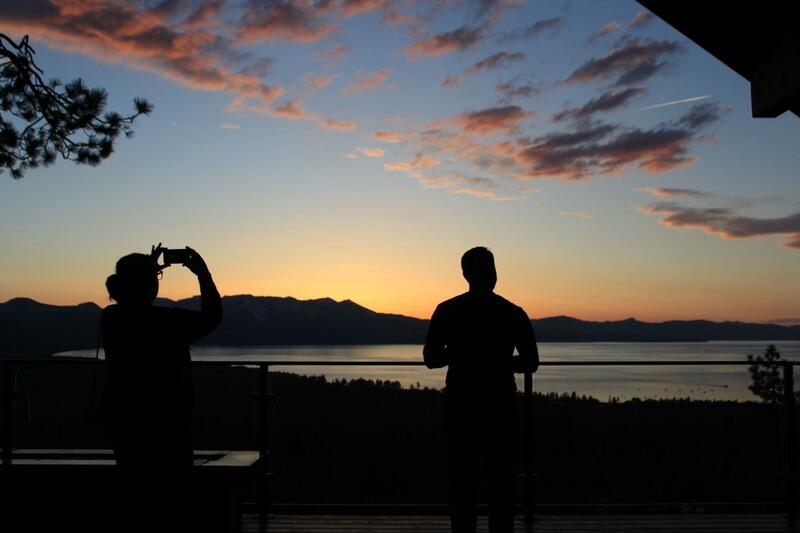 For about a tenth of that cost, we enjoyed an amazing week-long, luxury team retreat in Lake Tahoe, California, and our team members can live where they want the rest of the year. Pretty good deal! 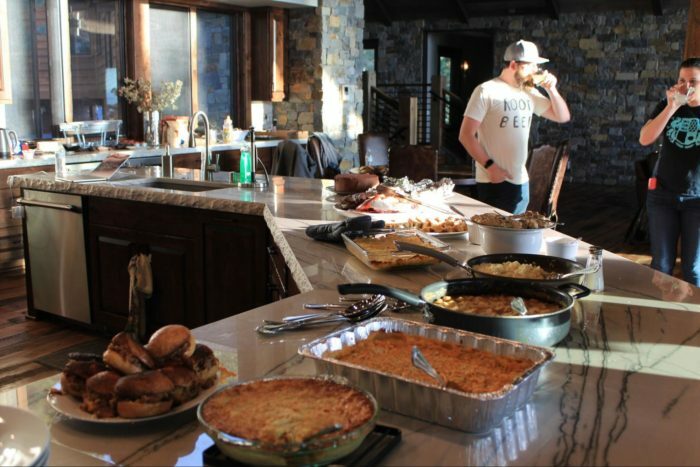 Move the Potluck to earlier in the week so we can enjoy those leftovers! The following week “back in the office,” we sent out a post-trip survey asking for feedback and suggestions for next year’s retreat. In their responses, the team highlighted over and over again how happy they were to have a space to come together, relax, and share a lot of good food and laughter. P.S. : Are you planning a team retreat? I nerd out about this stuff, so email me and let’s chat! 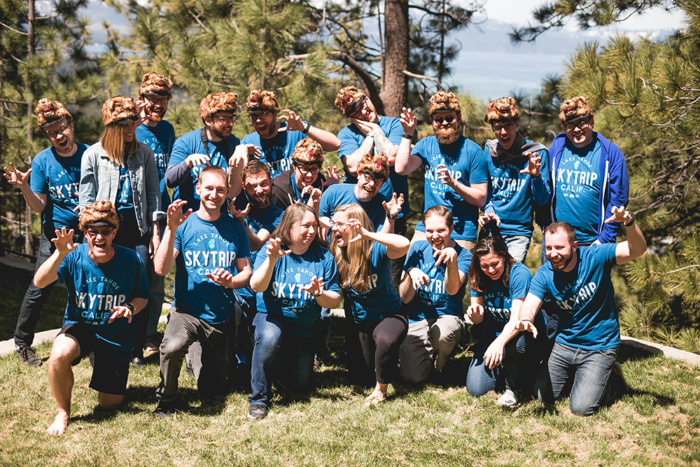 Want to join us for SkyTrip 2019? Keep an eye on our job board! Catherine leads People Ops for Team SkyVerge, handling everything from HR to internal projects. She has a penchant for putting googly eyes on inanimate objects and finding hidden wisdom in children's books. Love it. Congrats on several things: the companies growth, the amazing house, and continued learning! Last year we asked SkyVerge for help for planning our second annual retreat, and it was very helpful. This year, it’s no different. Thank you. We too came to the conclusion that everyone gets their own room. Adults need their space. 🙂 Let’s see what we uncover this year..
Hey, Mitchell! Thanks for the kind words : ) So glad you’ve been finding our posts helpful. Retreat planning is no easy task! Best of luck on your retreat this year–excited to hear what you learn!